Microscope Solutions is the main pillar of the Healthcare Business Unit. Our starting point was the "Joico microscope" which Nikon first designed and marketed in 1925. In over 90 years of technology development history since then, we have worked with countless researchers, in universities, private research agencies, and elsewhere, building up an abundance of experience and knowledge that is our foundation now. Our various biological microscopes, optimized for different applications, backed by the technology to analyze the images obtained from microscopes, are used in a diverse range of life sciences research fields, and form the core of our Healthcare Business Unit. Microscopes can be described as a crystallization of the optical technologies that are Nikon's core competence. By now, we have achieved a succession of breakthroughs that have changed conventional ideas about microscopes. For example, the super-high-resolution microscopes we developed around 10 years ago enabled observation at resolutions exceeding 200nm, which had been called the resolution limit in optical theory. In recent years, we have developed multi-photon microscopes using super-short-pulse lasers. 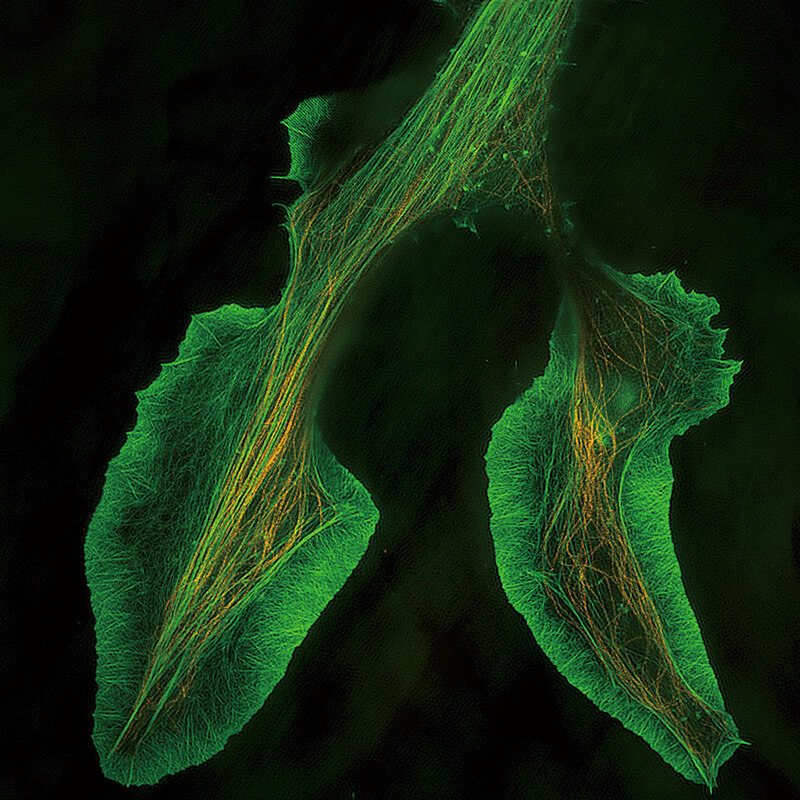 These developments made it possible to observe the deeper parts of living tissues and cells. Using the technology "to make the invisible visible", we have been generating new value in the most advanced research fields. Microscopes have been developing through human history so far, and have made great contributions to elucidating various mechanisms of life. Now, there is demand for superior microscopes and microscopic image-processing technology for the most advanced fields of regenerative medicine, drug creation, and preventive medicine. We will go on deepening our communication with researchers active in those fields, as we support the further evolution of the most advanced fields of life sciences research. The starting point of Cell Solutions (Regenerative medicine/Drug discovery support) was in biological microscopes. We started in 2003, with the theme of "Contribute to society through the observation of cells". 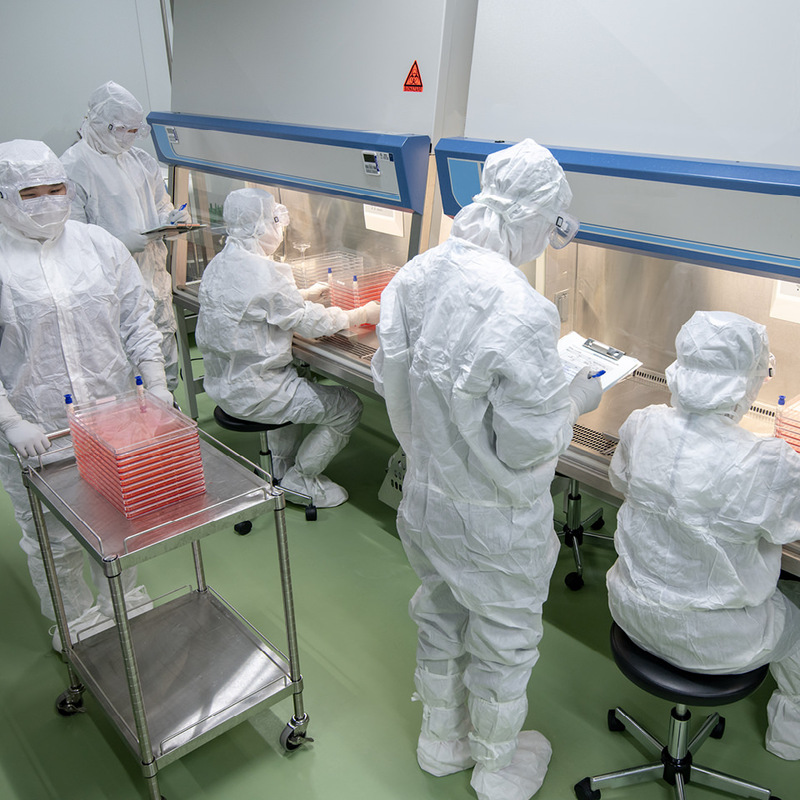 At that time, the focus was on regenerative medicine using embryonic stem cells (ES cells), and the aim was to contribute to early realization of regenerative medicine by supporting more stable cell production. After that, the invention of iPS cells widened the potential of stem cells into drug creation. Now, in Cell Solutions, we are developing three areas of business: "Cell quality assessment", which accurately judges the state of cells in cultivation, "Drug creation assay", which achieves more efficient drug creation, and "Cell selection platform", which enables sorting and manipulation at the level of individual cells. 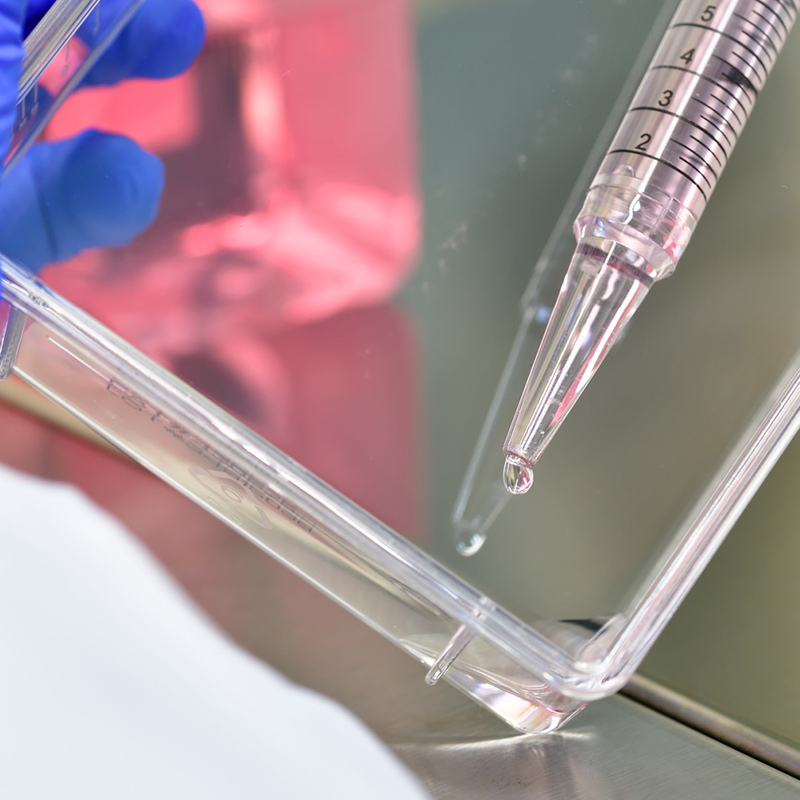 Through these areas, we are supporting the future of regenerative medicine and drug creation. Besides the biological microscopes which are the crystallization of Nikon's optical technology, other cores of our business include cell imaging technology and captured image analysis technology. One example is BioStation CT, a cell culture observation system that has a biological microscope built into an incubator, which is a cultivation system. This system also uses the precise position control technology of a semiconductor exposure system. Captured images are analyzed and assessed by an application that brings together all of Nikon's accumulated image-processing expertise. For the manipulation and sorting of individual cells, we have the Beacon multipurpose cell research platform. This system was developed by BLI (Berkeley Lights, Inc.), a Nikon business partner. It uses light to manage cells as individual units. "Cell quality assessment" for stable production of high-quality cells, "Drug Discovery Assay System" to support the use of cells in drug creation, and "Cell selection platform" to enable the management of individual cells. These areas are closely inter-related, and generate major synergies. 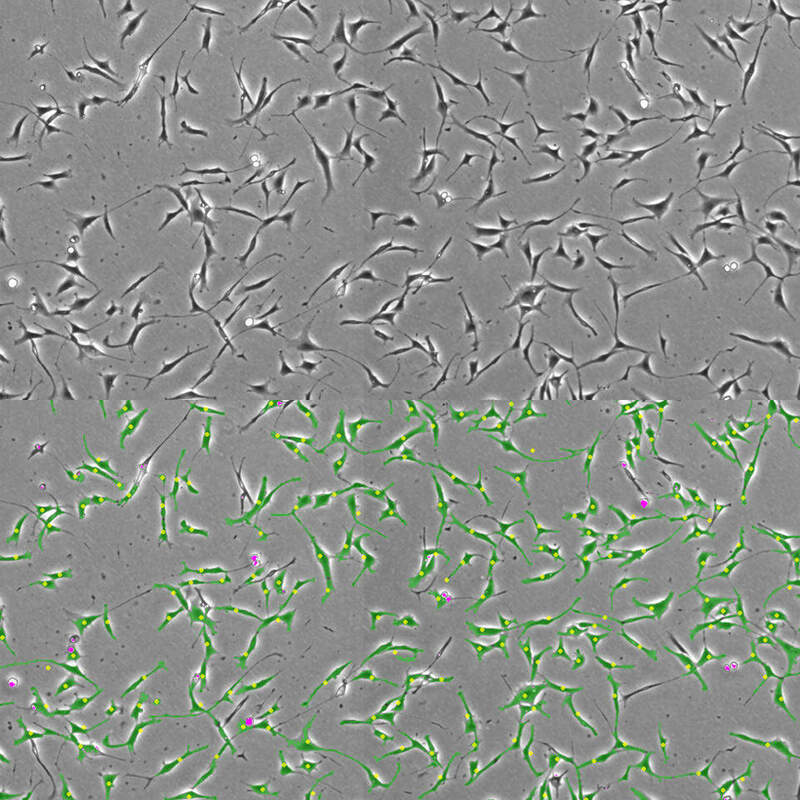 For example, reliable management of individual cells allows the supply of low-cost, high-quality cells. That brings regenerative medicine much closer to hand. It has the potential to shorten the development period and suppress the costs of drug development, which takes 10 years or more, and could offer therapies for intractable diseases. We intend to continue creating new possibilities that will contribute to the health of more people. The Quality of Vision (QOV) that Ophthalmology Solutions aims for is intended to improve the quality of how each individual person sees. It is a new concept that has attracted attention in developed countries where populations are aging. One of its themes is the early detection of diabetic retinopathy, cataracts, and glaucoma, and the suppression of their progression. For the purpose of contributing to human QOV, we subsidiarized the UK company Optos, holder of the world's leading share in retinal imaging cameras, in 2015. We are now working to spread the use of the ultra-wide field scanning laser microscopes that are its main product, and we want to move forward by providing new solutions that match the latest optometric technology, image analysis technology, and other elements. Optos' ultra-widefield scanning laser microscopes can capture high-resolution images of the retina with the ULTRA WIDE FIELD (UWF™) of 200°, compared to the 45° achieved by conventional microscopes. That makes it possible to cover 80% of the ocular fundus, helping physicians reach accurate diagnoses. If the pupil diameter is at least 2mm, there is no need to use a dilating agent, so the subject can do things like drive a car immediately after the examination, so there are benefits for patients too. 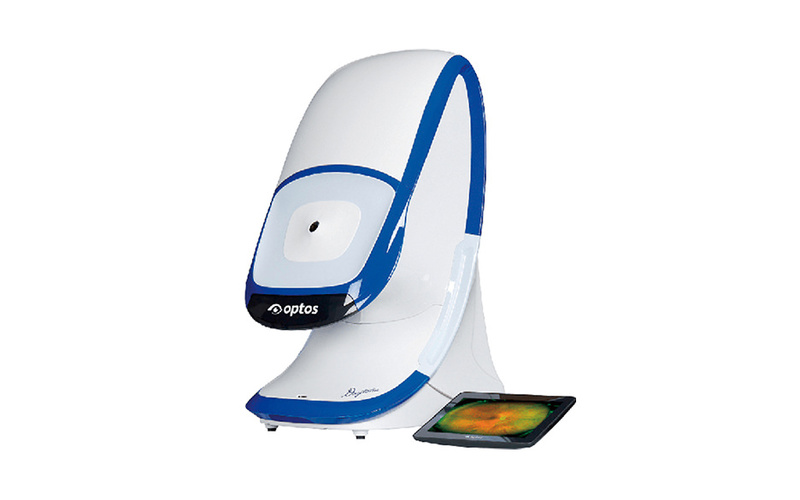 Optos' most advanced devices use long-wavelength lasers to capture cross-sectional images of the eye, enabling accurate diagnosis of conditions such as age-related macular degeneration, which had been difficult before. Introducing Nikon's optical and image analysis technologies to Optos' unique technologies in future will bring in synergies. We are also working on the use of artificial intelligence (AI) on retina images for new diagnostic solutions. We hope that such efforts will assist to some degree in reducing loss of vision due to causes such as diabetic retinopathy. In the future, the information gained from retina images could lead to advances such as earlier discovery of signs of heart disease and other conditions. We will go on contributing to people's healthcare, starting by searching for QOV. The use of artificial intelligence (AI) in the screening of retinal images has the potential to reduce the risk of vision loss from diabetic eye diseases. Nikon and Verily Life Sciences LLC* (United States; referred to below as "Verily", formerly known as Google Life Sciences) are collaborating on developing screening solutions using Machine Learning. Our goal is to help reduce the risks of vision loss due to diabetic retinopathy and diabetic macular edema. Machine Learning is a subset of AI, delivering high performance in fields such as image recognition. Working from tens of thousands of high-resolution retinal fundus images captured with Optos ultra-widefield retinal imaging devices, we are training the algorithm using image grading from highly-respected reading centers. The AI we are developing will be built into systems to be used in medical facilities to provide quick screening results. Our current focus is to develop AI screening to reduce the risks of vision loss from diabetic retinopathy and diabetic macular edema. In the future, there is the potential to extend into other diseases. The eye is the only organ that allows a direct view into the human body. We anticipate that using analysis from high-definition images of blood vessels seen within the retina will allow early detection of other diseases. If we can build solutions to widen the range of target diseases we may be able to help develop the future of medicine. *Verily Life Sciences LLC:Verily is focused on using technology to better understand health, as well as prevent, detect, and manage disease. Our mission is to bring together technology and life sciences to uncover new truths about health and disease.